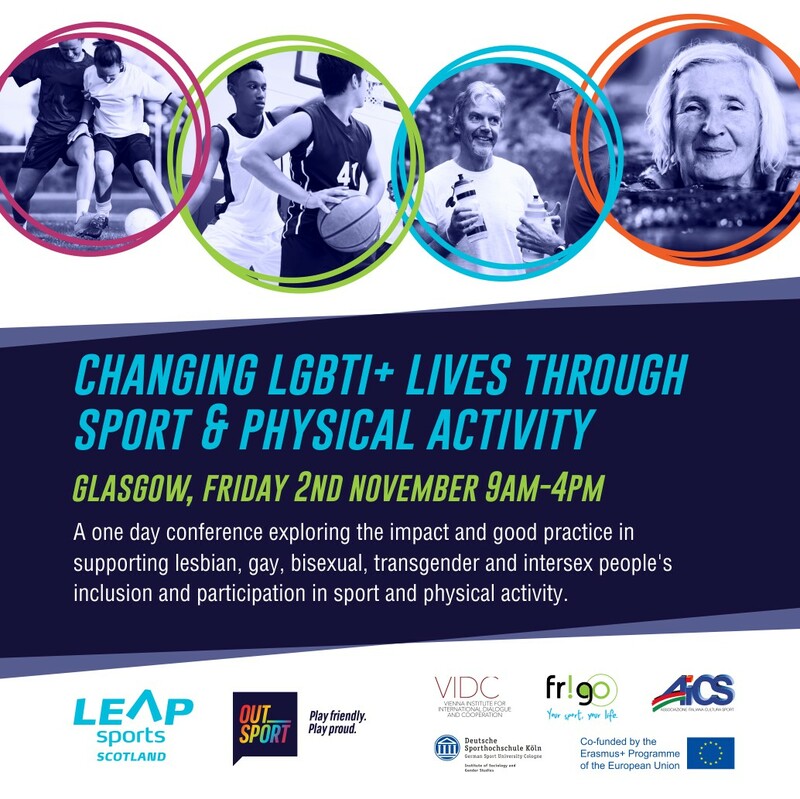 Changing LGBTI+ Lives through Sport and Physical Activity is a FREE one day conference exploring the impact and good practice in supporting lesbian, gay, bisexual, transgender and intersex people's inclusion and participation in sport and physical activity. This conference is a must for anyone who has an interest or remit for equality within sport, and will be relevant if you are a sports administrator, policy-maker, organiser, coach or participant. Hear personal stories, see initiatives and practices which are making a difference, and hear from some of the sports bodies and clubs doing some of this work. Also hear up to date research on LGBTI+ people's experiences across Scotland and beyond.